Despite 49-inch TVs becoming more uncommon, there are still some people who are interested in purchasing one. They're particularly ideal for anyone who only has a small space for a TV unit, or if you want to save money regarding screen technology. Buying yourself or your family a TV is an excellent luxury so it shouldn't matter what size it is or how much it cost, it's all about the thought behind. However, you want to make the most out of your money, you definitely don't want to be spending anything on a TV when it's not worth your money. Looking for something smaller? Try a 42-inch Television. 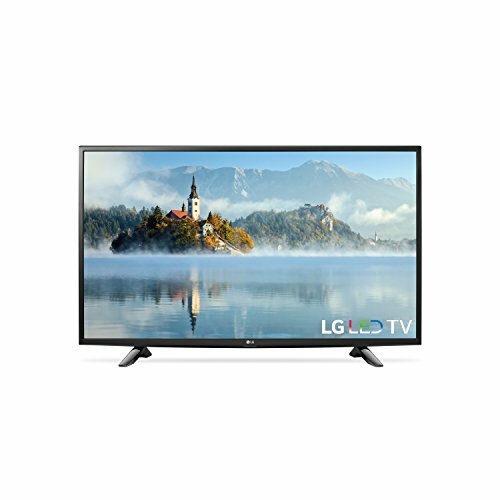 What to Look for When Buying A 49 Inch TV? How Wide Is a 49 Inch TV? How far away should you sit from a 49 Inch TV? What are the dimensions of a 49 Inch TV? How high should a 49 Inch TV be mounted? 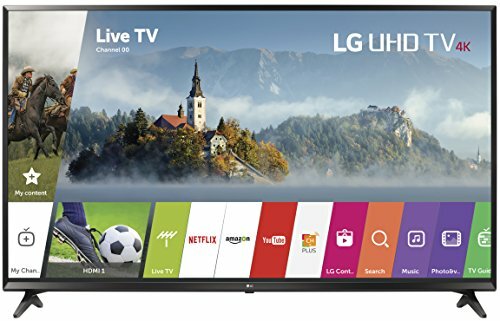 Best 49 Inch Smart TV? 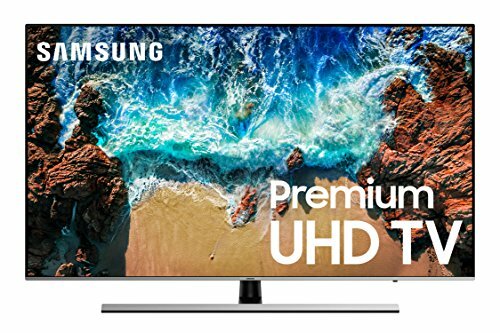 Best Samsung 49 Inch TV? 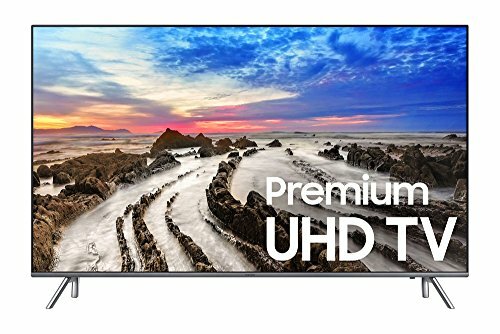 Best 49 Inch 4K HDR TV? We know how confusing and mixed the technological world can be when you're on the hunt for a new TV. This is precisely why we have created this list and 49-Inch TV buying guide. We're aiming to help you pick out the best 49 inch TV possible, but you can only do this if you know what to look out for. Even if you don't purchase the models we suggest, it's great to know your options and what will suit you most. While some people want a cheap 49 inch TV, others will just want a top rated LED TV which is fine too! This Samsung model is one of the best 49 inch 4K TVs to buy on the market right now. It is reasonably priced and offers smart features as well as UHD picture full-array local dimming and a contrast enhancer. It's ideal for streaming TV shows or your favorite movies if you like but it also has a great picture quality. Since the black uniformity is deep, the darker scenes are always super dark and mysterious meaning the brighter colors always pop really well. 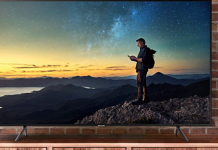 In addition to this, the screen reflection is not too severe meaning if you tend to get a lot of natural light in your living area, this 4K Smart TV will still be watchable in the brightest of situations. The MU7500 budget 4K TV also had a low input lag and a gaming TV mode so all the gamers out there can rejoice with how fantastic this model actually is! Even though it has a 4K resolution, this budget 4k TV looks better than you could ever imagine! It even includes a web browser feature so you can search on your 4K TV for the best deals rather than just using your phone or a laptop. Another huge bonus is that this it has an atheistically pleasing design and looks nice when you're watching it. Despite being a really good 49 inch TV deal, this model still has one flaw that has become apparent through previous customer reviews. The local dimming feature is not effective, although this is a minor flaw, you still must consider it before purchasing. 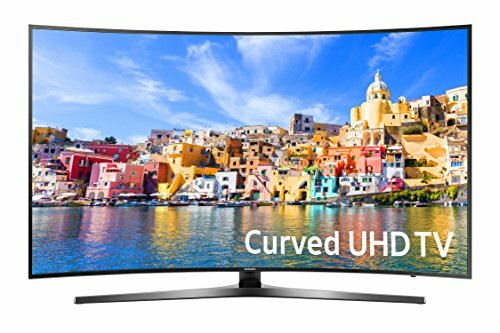 Why We Liked It - It's a curved, chrome-finished 4K TV with lots of extra features you can make use of. The center stand keeps the whole thing stable, and it's 4K UHD, what more could you want? If you fancy a smaller TV, or perhaps less pricey - you can consider a 43-inch TV. Another 4K resolution option you could opt for is the Samsung MU8000 model. It also has great black uniformity and good contrast levels which means you can get the best possible viewing experience and not have to pay any more money than before. This 4K TV has a low input lag too so you can play lots of video games and win as many as you can, without the hassle and issue of the TV lagging. This 4K TV isn't curved, but it has a chrome finish and two spider leg stands that look super smart. However, due to the nature of the legs on the TV unit, it may mean that the stand is too wide for most tables. You can still mount it to the wall if you like though or buy a bigger unit. Since it's a thin design, it looks really stunning when on a wall or even just freestanding. It's also affordable and reasonably priced considering how nice the build quality is. You may expect this model to be priced a lot higher than it is. The native contrast ratio is also a great bonus on this model and should be considered when purchasing. This 49 Inch 4K UHD TV only has a few minor flaws you may need to consider, this includes the color gamut (it's only mediocre) and the fact that the image degrades at an angle. These aren't anything major and won't typically affect your viewing pleasure, but it's essential you think about both the pros and cons before you buy it. 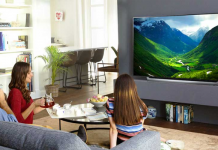 Why We Liked It - It really brightens your day to have a good quality 4K TV for a reasonable price, and we love showing you the best 49 inch TV deals out there. There are so many on the market, you just have to search for the perfect one for you! Fancy a bargain and not worried about screen size? 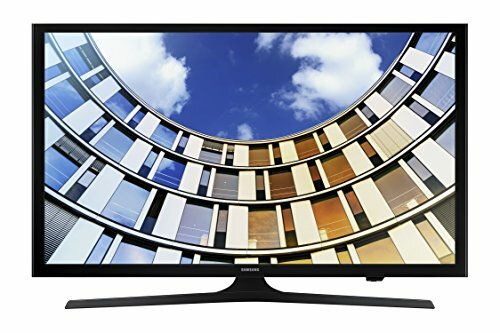 Check out these awesome TVs between 32 and 39 inches! The LG 49-inch 4K Ultra HD Smart TV is a lot more ordinary but still has a 4K resolution and a wider viewing angle than most other models. It features a smart platform which you can stream your favorite movies and TV shows on and has an impressively low input lag. Unlike the other 49-inch 4K Ultra HD TVs discussed above, this model is matte black and features smaller spider legs at either end of the TV unit. Although the 4K Smart TV is quite thick when you view it from a side angle, it can still be mounted onto a wall if that's what you wish to do. Overall, it's an affordable price and has a good image quality that your whole family will love. There is not much to dislike about this 49-inch 4K Ultra HD Smart TV as there is very little wrong with manufacturing it. The sound quality is lacking, and it could handle motion a little better, but it's still a great choice if you like the design and look of the TV. Why We Liked It - It's not every day you come across a decent quality 49-inch 4K Ultra HD Smart TV for a reasonable price. Shiny chrome finished TV designs don't always suit in everyone's house, so the matte designs are also great to have too. If you're on the hunt for a beautiful TV with plenty of extra features and above average picture quality. This Samsung KU7500 model is for you! It has a low input lag so is ideal for gamers and is also great for motion handling for those super action-packed games and even those who want to watch TV and some movies too. It has a curved screen and a brushed metal finish on the borders which look attractive when you're viewing the TV. The KU7500 model would fit perfectly in any modern home theater, and you will definitely feel proud to own such a lovely TV. Unlike the other models, this one has a center stand meaning the TV has a smaller footprint and can be mounted onto a wall easily. If you choose to keep it freestanding, then you don't have to buy a newer and larger unit to place the TV on either. The borders are smaller than average, and the native contrast ratio is good meaning when you watch darker scenes, the performance of the blacks is astonishing. The main flaw with this model is the sound quality and its ability to project sound. This is a major flaw but can be easily fixed with an external speaker or soundbar. Why We Liked It - Most of the time, curved screen TV's are expensive, and this is one of the main reasons that people don't buy them. This one is more than affordable, but it's still really good quality and will last in your home theater for a long time. This affordable QLED TV has a great brightness and color contrast meaning you're going to feel at the forefront of any action movies and TV shows. This QLED TV also has decent 4K HDR support, so the image will always be super sharp and clear even though you may be far away from it. The smart features on this model have been reviewed as some of the best as they're very innovative. Unlike most other 49 inch TV's from Samsung, this model has strong audio and sound quality. 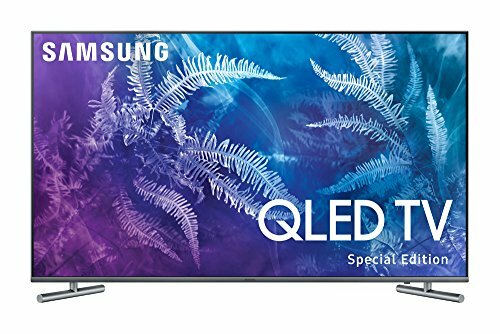 If you choose to purchase this QLED TV you're definitely going to have a great TV viewing experience. What it has some very distinctive and is thin to view from the side so if you're wanting to mount it to the wall you can do! Even the back of this QLED TV is attractive, so you don't have to hide it if you don't want too. It does suffer from some flaws though, one of the main ones is the edge-lit backlighting. Although it's not major, you must think about it before purchasing. The new features included on this model also need a little polishing to be perfect. Why We Liked It - Samsung make some of top-rated LED TV's on the market, and this QLED TV is no different, it's super nice to look at, and the attractiveness of this QLED TV is just the start of how great it actually is. Moving on from 4K resolution TV's to buy online, this 1080p model by Samsung has excellent smart features and is good at motion handling. The picture quality isn't the best on the market, but the TV itself looks really attractive. It has two legs to help give the TV unit support, but these legs sit more comfortably snug to the ground than previous models. Despite the TV having a plastic build and the quality not being very high, it's an affordable price. Considering the low price, it's a great choice for those who are on the budget. 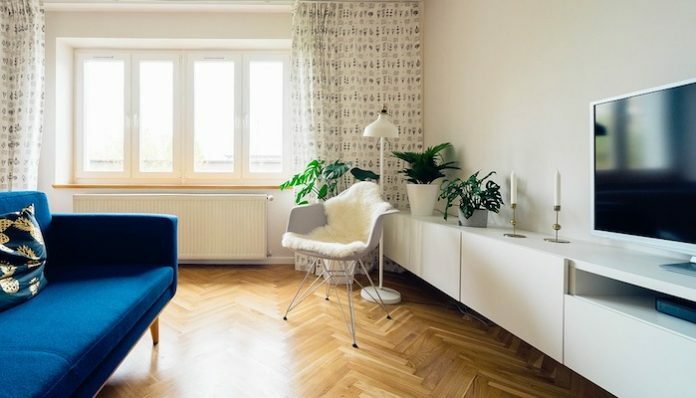 It's relatively thin and can be easily mounted onto a wall but it does get thicker towards the bottom of the unit, so this is something to consider before purchasing. The contrast ratio of this M5300 model is below average which is a disappointing meaning when it's viewed in a dark room, the black appears grayer than really black. This model also lacks a local dimming feature. However, it still has good sound quality and is an ideal choice for those who don't want to break the bank to buy a TV for themselves. The image quality also remains accurate when viewed at an angle which is a huge bonus! Why We Liked It - This TV may not be the best you can buy, but considering the lower price, you're paying when you purchase if you are getting a good quality TV that will last a long time in your family home theater. It looks good and can be used for watching movies or your favorite TV shows too. In contrast, Samsung's MU7000 model has excellent black uniformity, and when displayed in a darker room, it has nice deep colors but also can highlight the more colorful aspects of the screen too. This is because it has a wide color gamut which is good for the HDR feature if you want all your TV screen colors to 'pop' perfectly. The design of this Samsung TV is nice too, it's chrome-finished which is why Samsung's MU7000 is seen as one of the best TV on the market today. It's not textured or curved but would still look nice in a modern and stunning home theater. It's also thin when viewed from an angle, and the stand can be removed meaning it's the perfect choice if you want a TV to mount to the wall. 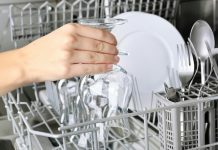 It won't cause you any hassle as it's really easy to maneuver. It does have some major flaws though, these must be considered as they could affect whether you purchase the TV or not. The picture quality deteriorates at an angle to the point which someone who is sitting at 90 degrees to the TV won't be able to see it. It also could be a lot brighter in color. Why We Liked It - Chrome-finished designs are always great if you want something to match your home theater. For anyone who has modern or sleek furnishings in their home theater may want to choose this Samsung TV, so it matches their aesthetic. Featuring a curved 4K screen, this TV unit is a great find for anyone who can afford it. It has a low input lag and high contrast blacks meaning you can watch TV shows that are dark, or horror movies to feel super scared when it comes to the best bits. The design is nice and pretty standard for a Samsung TV, it's nothing special, but it's a good choice if you're unsure of what you want to buy. When viewed from an angle, it's not thin and would not mount well on a wall due to the curved nature of the screen. Other than this and the bad sound quality of this Samsung TV, it performs well. The picture quality is better than average, and it can produce colors for dark or bright scenes. The native contrast is also profound meaning you're sure to get the best quality picture, even when it's super dark. One of the biggest flaws of this Samsung TV isn't to do with the build or picture quality, but the price of it. It's expensive considering the quality. 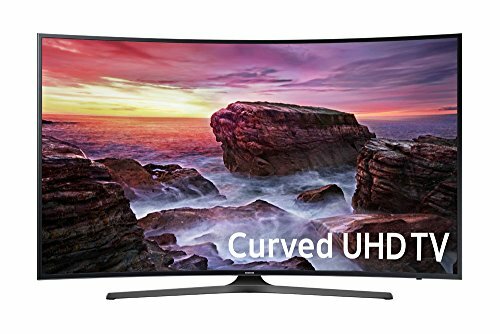 Why We Liked It - Curved screens are becoming a lot rarer these days so it's always worth buying a Samsung TV like this while you can and make the most of it. Having a curved screen creates a great watching experience for everyone. If you have a wider living room where you want to place your new TV purchase, this model by LG might be the best choice. The LJ5500 model has excellent smart features and a low input lag. It could even be more ideal for a bedroom if you have a son or daughter who likes to play games on their console and TV. There are variants of this model to come with no smart features so if you're wanting them, ensure the model you're buying has them before you take it away from the store or get it delivered. The resolution is only 1080p rather than 4K which isn't a huge flaw, but there are similar models out there for the same price that have a better resolution. The sound quality is also lacking on this model, if you do purchase it, we would suggest investing in some external speakers or a soundbar. Other than these flaws, it's an attractive TV you could place perfectly in your home theater. Why We Liked It - The matte black design is sometimes loved by people over the chrome designs that so many models have these days. If you have a huge living area then you may have spaced out sofas which need to see the screen from an angle if you do this is the choice for you. Looking for something a little more versatile? This Samsung NU8000 model may be the best choice if you're wanting a good picture quality and HDR support. This model is excellent in motion handling and has a center stand that looks super modern. This stand can be easily removed if you wish to mount it to the wall. However, it does have some flaws including; a washed-out color appearance when viewed from an angle. And, the Bixby voice control assistant. This assistant is often seen as a good thing, but when you're wanting to use the remote, it can be annoying. Overall, it's a nice TV with some extra features you may use. It has great SDR peak brightness and a low input lag for all those gamers who want a new TV to plug their console into. However, the sound quality is also lacking in this model. Why We Liked It - It's affordable if you want something a little more upmarket and it has vibrant crystal color, so it's always going to stand out when you're watching a movie or TV show. 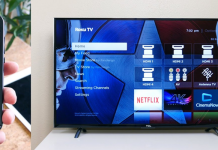 Before you purchase a 49 inch TV, you need to think about which model is the best TV to buy. Sometimes you won't want to buy the models we suggest, that's OK, but you still should try and find a good quality TV that is worth your money. To do this, you just need to look out for some aspects and qualities that the TV has, anything from the image quality to a broad black uniformity. Below we've listed some factors you'll want to consider when you buy a new TV, even if it's not a 49inch one. Every TV you research or look at in a store won't have every single factor but having multiple good aspects should be a good indicator that the TV will last a long time and be a great choice. An excellent picture quality what else are you going to use your TV to do but watch movies and TV shows? Having a great picture quality means you're guaranteed to love the TV and want to keep it for as long as possible. You want to be impressed with how fantastic the image looks and you don't want to find yourself trading it a few years down the line when you want something better. When you initially research the model, the picture quality won't be in the description of the product, but you will find out more about it in the previous customer reviews. Naturally, there will be some negative reviews, but if you can find a model that gets regular good image quality reviews, you're sure to love it. Low Input Lag especially if you're a gamer or have someone in your household that will want to connect their console. An input lag is a delay between the television receiving a signal (from the gaming controller), and it is displayed on the screen. You would ideally like the input lag of your TV to be low if you want to play games as it allows for faster response time and better successes. If you're able to shave off the extra milliseconds, then this could be the difference between winning and losing when you're in the middle of a super important HDR game. The input lag doesn't generally affect the watch-ability of a TV, so if you're not planning on playing video games, then you don't need to consider the input lag. A higher resolution 1080p (full-HD) and 4K Ultra HD are the best resolutions you can currently buy when you're looking at a 49 inch TV. The resolution of a TV is the number of pixels in each dimension that the Tv can display natively. The better resolution you have on your TV, the better it's going to display the image it's showing. You should note though, just because a TV has a higher resolution, doesn't mean to say it's going to be the best quality. Always check the customer reviews or our list of the best TV for a more in-depth insight into the TV model you want. Typically, a 49 Inch TV will be the same size, but they're not always the same width. Concerning the screen size, a 49inch model will have a height of 24 inches and a width of 42.6 inches. However, while this will stay the same for the screen size, each model will have different sized borders and stands so this is something you must consider for each model you look at. The width of the 49 inch HD TV will differ depending on the brand or manufacturer. You can find this in the product details when you're researching the TV. If you purchase a TV above 40 inches but below 50 then you should be sitting between 5 and 8 foot away from the screen (this is around 1.5 meters to 2.4 meters). Like we stated above, the TV dimensions can change according to the borders and stand on the TV, but the screen height and width will always stay the same. The height is 24 inches and width is 42.6 inches. This is standard across all 49 inch TV. Even the best 49 TV will have these dimensions. Since is very dependent on individual circumstances and where your sofa is placed, and how high it is. Based on average seating height being 18 inches above the floor and the eye level of an adult being 24 inches above the seat, we would recommend that the perfect height to mount your TV would be 42 inches. 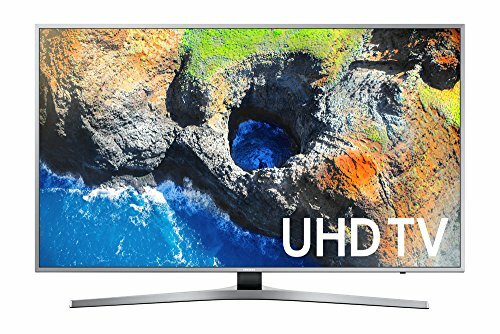 The Samsung UN49MU7500 model has got to win this one, it's definitely the best TV to buy if you're on the hunt for a 49 inch TV. Again, the Samsung UN49MU7500 has to be the best 49 inch TV. It has some many great elements that other models don't have, and it's affordable too. 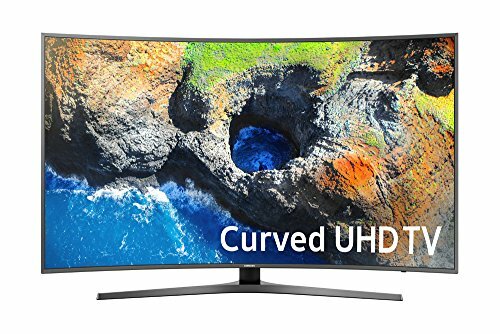 Possibly the Samsung UN49MU8000 model would win this, the HDR support is excellent and really shows how wonderful color can look on screens. Just because you're buying a 49 inch TV doesn't mean to say that it's going to look tiny in your huge living area. Don't let the sizes of TV's put you off buying them. Ensuring you have a good quality TV should be your main priority rather than the size of it and how much it will impress your friends. 4K resolution is becoming increasingly popular, especially in China where the TV market is currently booming. It's estimated that over the next few years, 4K TV's to buy will get even more inexpensive and popular very quickly.